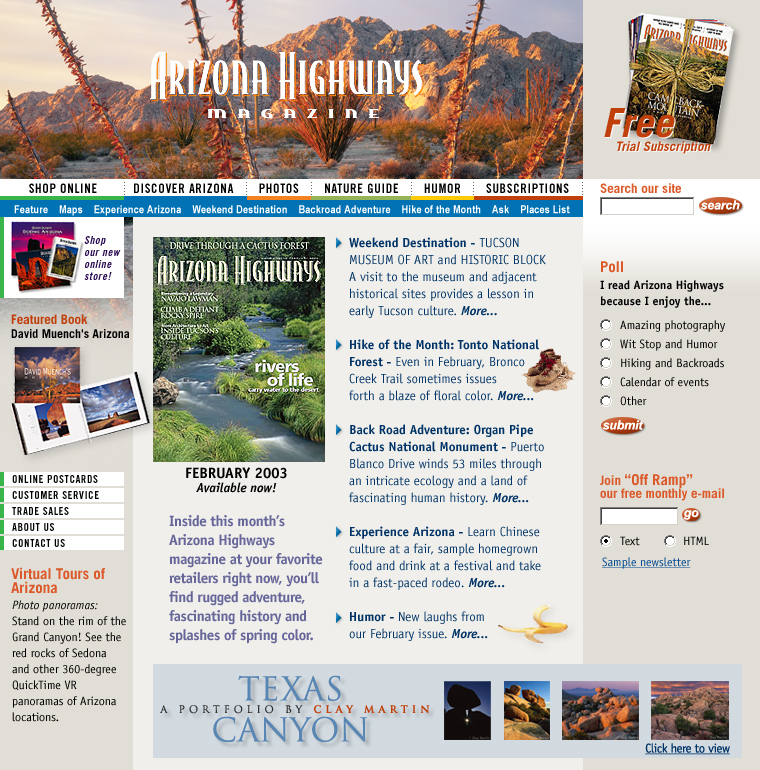 We created a new web site design for Arizona Highways in 2003. While our version of the web site was recently replaced, we’re proud to showcase our work for one of Arizona’s treasured publications. We provided all of the design for the web site, and implemented it into a content management system. Despite the beauty of the print edition, they had a substandard and outdated website. Our design complements the print magazine by using a similar look and feel to the print publication and was used on the entire web site, including the online store. Homepage design for Arizona Highways. 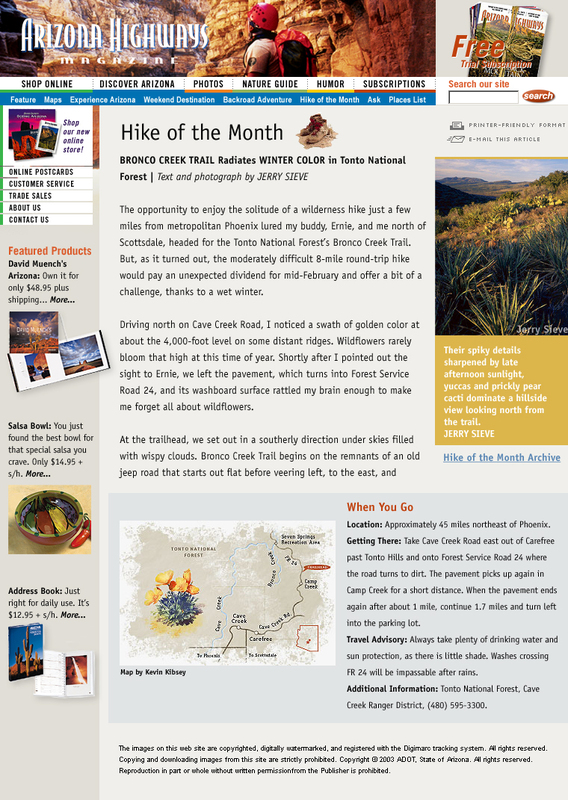 Subpage design for an example article featuring a hike of the month. For over 75 years Arizona Highways Magazine has been the premier publication telling the world about the beautiful places to see, mountains to hike, and canyons to explore in Arizona. It has helped to shape views of the American southwest. Arizona Highways has a circulation of more than 350,000 copies monthly, and an estimated readership of nearly 1 million every month. The magazine features scenic nature photography and stories from some of the best writers and photographers in Arizona.